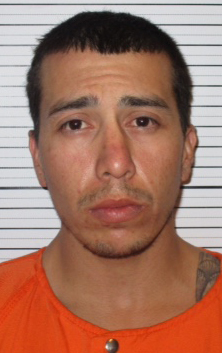 The Artesia Police Department announced this afternoon it has made an arrest in the case of a 2015 traffic accident that left an Artesia man dead. Roberto Cortez, 26, of Artesia, was arrested today on charges of homicide by vehicle and accidents involving death or personal injuries. 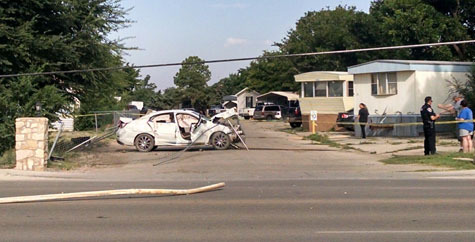 The accident occurred just before 1:30 a.m. July 25, 2015, in the 400 block of 26th Street, near the entrance to the Country Club Estates mobile home park. Jose Chavez, 23, sustained severe injuries in the single-vehicle wreck and was airlifted to Lubbock, Texas, where he was later pronounced dead. The driver of the vehicle was observed fleeing the scene on foot by witnesses, who reported he was holding his stomach. Through investigation, which included locating personal property belonging to Cortez inside the vehicle and DNA evidence, the APD was able to identify Cortez as the driver. Alcohol is considered to have been a factor in the wreck, and a New Mexico State Police reconstruction determined the vehicle was travelling at speeds in excess of 70 mph at the time of the accident.